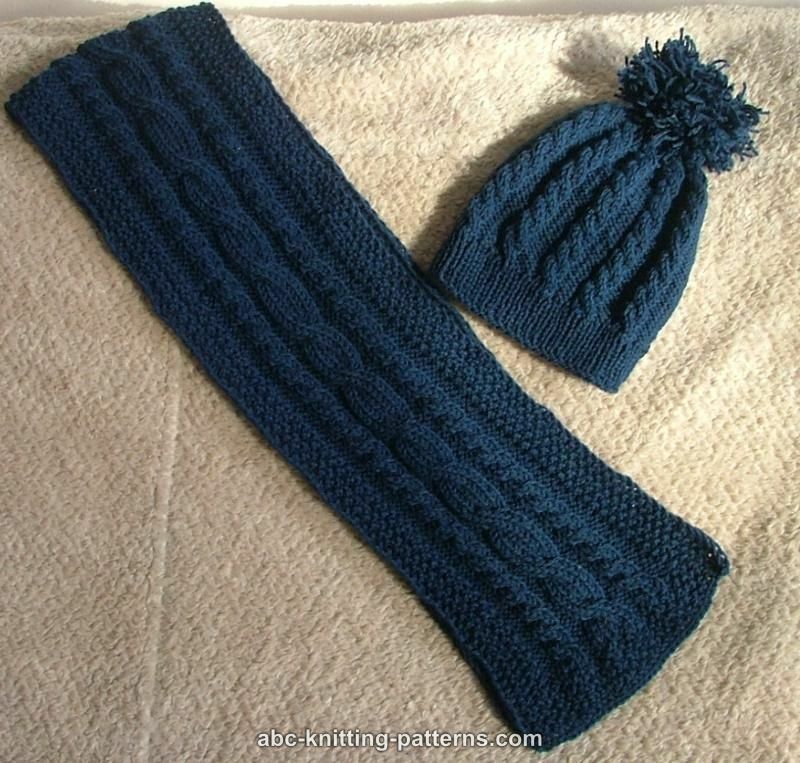 This child's hat is worked in cable pattern, from the bottom up, in rounds, without a seam. The hat is decorated with a pom-pom. Hat circumference: 17” (42 cm), unstretched. Height from edge of brim to top center of crown 7" (18 cm). Needles: circular US #4 (3.5 mm) 24" (60 cm) and dpn US #4 (optional) OR SIZE NEEDED TO OBTAIN GAUGE. 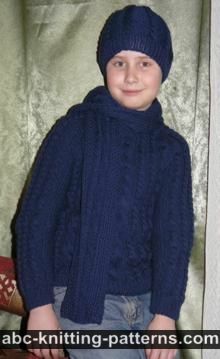 Gauge: 20 sts x 24 rows = 10 x 10 cm (4"x4") in stockinette st.
*k1, p1 - repeat accross the round. 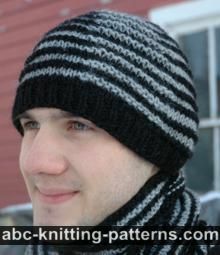 The hat is worked from the bottom up, in rounds, without a seam. Cast on 90 sts. Join into a round, taking care not to twist sts, place a marker at the beginning the round, slip the marker while working. Rounds 11, 12, 14: *P5, k4 - repeat from * 10 times. Round 13: *P5, 2/2 LC - repeat from * 10 times. Repeat rounds 11-14 four more times. Repeat rounds 11-13 one more time. Round 35: *P4, k4 repeat from * 10 times. Round 37: *P3, 2/2 LC repeat from * 1 times. Round 39: (P2, k4) - repeat from * 10 times. Round 42: P1, k3 - repeat from * 10 times. Round 44: P1, k2 - repeat from * 10 times. Make a pom-pom and sew it on top. Pattern was updated on September 2, 2018. I am confused about rows 11-32 is each of those rows p5 K4(cable)??? I think that the pattern has only 4 rows which are always being repeated from row 11 to row 32. Row 1-2 5 sts purl and then 4 sts knit, cont. till end of row. Row 3- 5 sts purl and then 4 sts cable ( have to put 1st 2 sts on a seperate needle (cable needle) then knit the next 2 sts and then the 2 sts on cable needle, cont. till end of row. Row 4- 5 sts purl and then 4 sts knit, cont. till end of row. 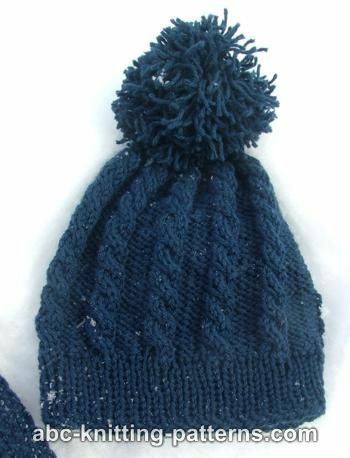 the pattern is worked over nine stitches. the first five are purl stiches with the next four worked in the cable pattern. the four rows for the cable pattern continue in the 90 stitches for rows 11 through 32. continuing with the four stitch cable pattern, start the decreases (per pattern) in row 33.
in other words, row 11 would be worked with p5 and then the first row of the cable pattern. row 12 would be worked p5 and then the second row of the cable pattern. 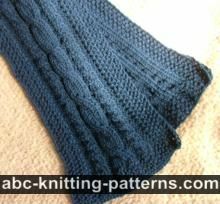 as the pattern states, start decreasing in row 33 (in the purl sections)while maintaining the cable pattern as established. I am having the same proble. I worked the rib and began row 11 and it just doesn't make any sense. Did you ever get an answer? Can't finish this hat, bummer!